14 Jan 2019 --- Nearly half of premature cardiovascular (CVD) deaths in Europe could be prevented by better nutrition. This is the conclusion of a joint study at Germany’s Martin Luther University Halle-Wittenberg (MLU), the Friedrich Schiller University Jena, the nutriCARD competence cluster and the University of Washington, US. 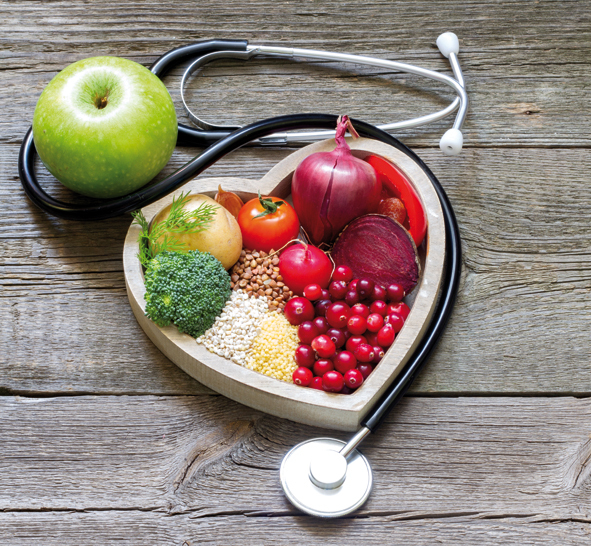 Published in the European Journal of Epidemiology, the study calls for policy interventions to increase prevention of cardiovascular diseases (CVD) through better diets and education. “Cardiovascular diseases are a lifestyle problem that can be prevented. The declining rates of CVD in certain countries are likely due to good therapy policies only, but prevention should be put on the agenda,” the study’s co-author Professor Stefan Lorkowski, tells NutritionInsight. “In Germany, we spend tremendous amounts of money on our health system and only a few of that is invested in disease prevention. Governments should invest in prevention, not only in therapy and cure,” co-author Dr. Toni Meier tells NutritionInsight. The researchers evaluated data provided by the Global Burden of Disease Study (GBD) which were collected between 1990 and 2016. They analyzed the prevalence of cardiovascular diseases, such as heart attacks and strokes, in the 51 countries that the World Health Organization (WHO) has designated as the “European region.” In addition to the EU member states and other European countries, several states in the Middle East and Central Asia were also included, such as Armenia, Azerbaijan, Israel, Kazakhstan, Kyrgyzstan, Tajikistan, Turkey, Turkmenistan and Uzbekistan. The study calculated the percentage of deaths linked to an unbalanced diet, such as, the underconsumption of whole grain products, vegetables, nuts and seeds and high salt intake. 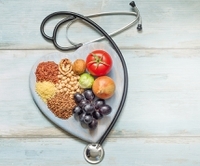 “We must make better use of the potential of a balanced and healthy diet, otherwise heart diseases will be the cause of even more preventable deaths in the future,” notes Lorkowski. According to the researchers, countries ranging from mid to low income, rate higher in deaths linked to CVD. This is because they lack education on proper dietary habits, Professor Lorkowski believes. The study also looked at how people's diet affects other risk factors for heart disease, including obesity, high blood pressure and lack of exercise. Alcohol consumption, however, was not included in the analysis. “It should also be emphasized that the well-known risk factor of alcohol was not taken into account by our study. In countries with a high consumption of alcohol, the degree of diet-related cardiovascular disease could be even higher,” remarks Nutritionist Professor Gabriele Stangl from the MLU. In 2016, 160,000 deaths (46 percent of all cardiovascular deaths) were associated with an unbalanced diet in Germany, 97,000 (41 percent) in Italy, 75,000 (41 percent) in Great Britain and 67,000 (40 percent) in France. In Israel and Spain, however, only one in three premature cardiovascular deaths was diet-related. “We know from different studies that education has a tremendous impact on diet. People with higher education usually show a lower contribution of the diet to CVD complications. Maybe the knowledge of the need and importance of a healthy diet is one contributing factor,” Lorkowski adds. “Higher income is related to better education which leads to better diets. CVD occurs more in the low to middle developed countries, with the mortality rates being somewhat higher likely because the therapies are not as good as in higher income countries,” Dr. Meier says. “In Sweden and Norway, the underconsumption of nuts and seeds is most strongly associated with cardiovascular diseases, while in many Central and Eastern European and Central Asian countries the low intake of whole grain products poses the greatest risk. Or to put it another way: Increased consumption of low-fiber white flour products has led to an increase in cardiovascular disease in recent years,” Dr. Meier adds. The researchers say that the findings are crucially relevant to health policy and should be incorporated into the development of future prevention strategies. According to the study findings, age and gender may also play a part. Men tend to be affected at a younger age, while women are only affected after the age of 50. In the EU member states, the researchers identified 178,000 premature diet-related deaths, 132,000 of the men and 46,000 of them women. This corresponds to almost 20 percent of cardiovascular deaths. With increasingly new data on the importance of dietary habits on health, it seems that prevention through nutrition is bound to become the number one way to tackle non-communicable diseases. Just today we reported on an extensive analysis linking higher intake levels of dietary fiber and whole grains with a lower risk of non-communicable diseases, body weight and cholesterol levels.